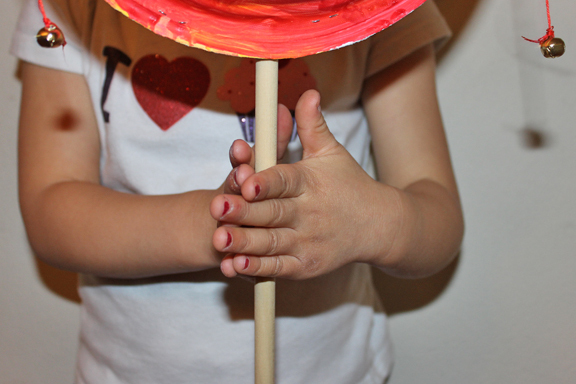 Looking for Chinese New Year crafts and activities to help ring in the Lunar New Year? 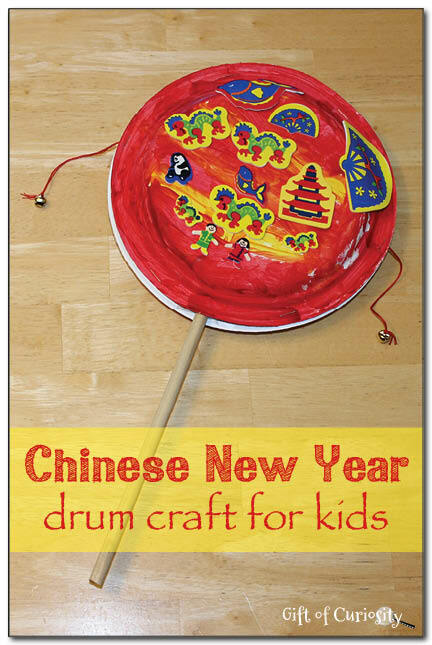 This Chinese New Year drum craft for kids makes a great activity that will keep little ones quite engaged. 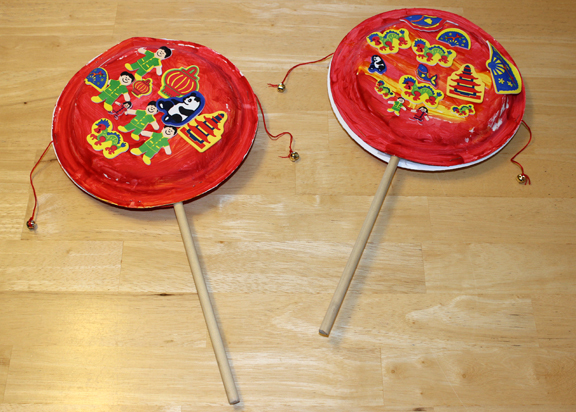 This craft re-creates a traditional Chinese instrument called the Bolang Gu, or pellet drum. This instrument is used in Chinese ritual music and as a children’s toy. The pellet drum is double sided with two heads (front and back) and two pellets connected to the sides. It is played by turning the stick between two hands such that the two pellets swing back and forth and hit the two drum heads. When done correctly, it makes a wonderful rhythmic sound. 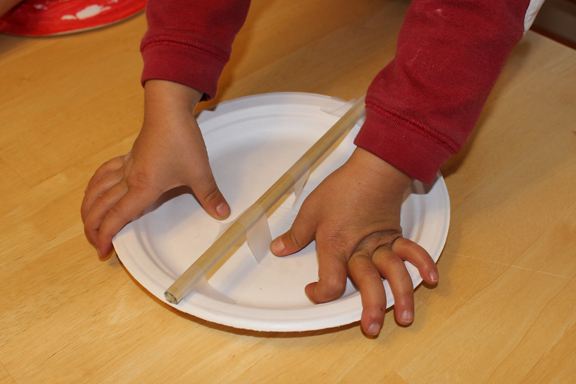 To do this craft, you will need two paper plates. 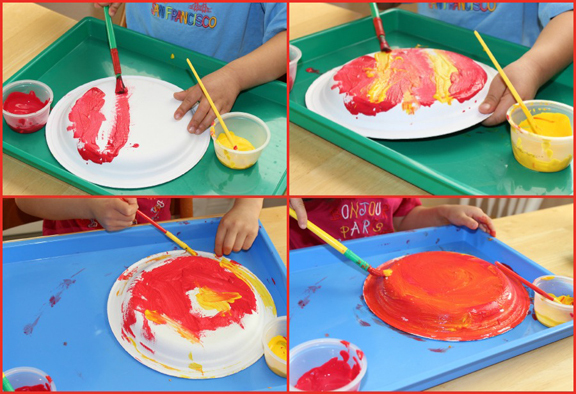 We decided to paint ours red and gold, since those colors are considered by Chinese people to be good luck. Note that you will need to paint the back of the plates, not the front. Next, the kids made the pellets by tying bells to a string. They then used tape to attach the string to the sides of their plates. This is what the drums looks like after attaching the wooden dowel and pellets. We then used a stapler to attach the second plate on top. I made sure to have the kids staple where the pellet strings were attached to help secure them in place. 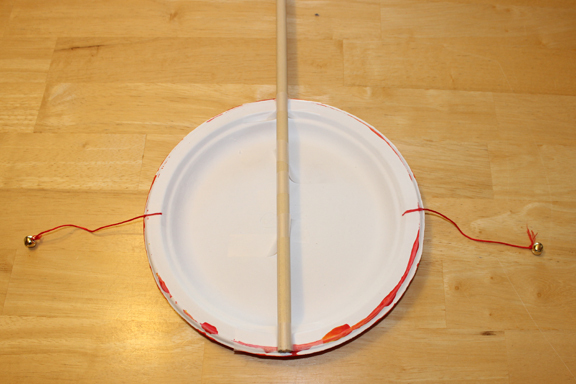 This is how you hold the stick to turn the drum. 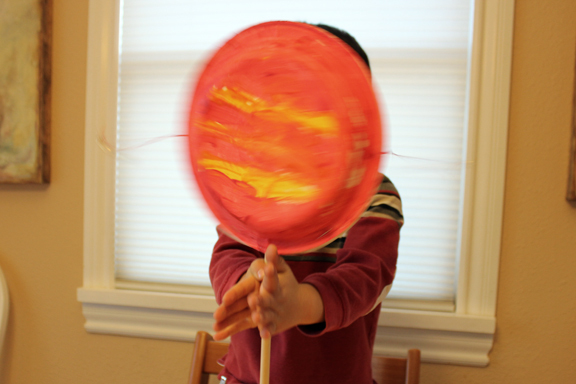 By rubbing the stick back and forth in your hands, the pellets will swing, hitting the drum faces. We tested out our drums, and were pleased to see that they worked really well! Finally, we decided to decorate our drums with some Chinese New Year stickers we had laying around. Beautiful drums all ready for Chinese New Year! 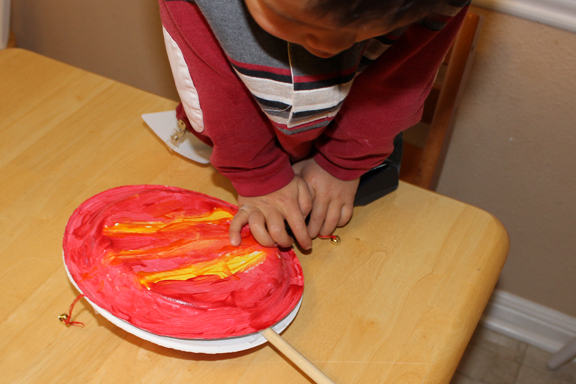 For more kid-friendly Chinese New Year activities, see my Chinese New Year Activities for Kids page and my Chinese New Year Pinterest board. Follow Katie @ Gift of Curiosity’s board Chinese New Year on Pinterest. Anything noise-making is always a hit at my house. 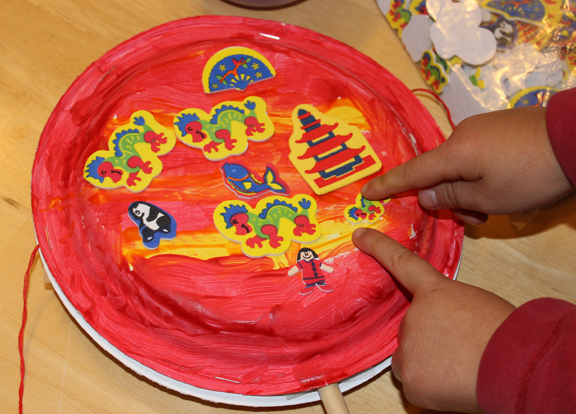 This would be a great way to introduce some learning about the Chinese New Year! So much more to learn when you make your own. Love the results! This is so fun! We did this in story time last (lunar) year. This is so cute! I love to make some for my child. I am sure he will love it so much!